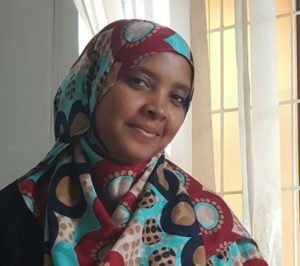 Ms. Mariam Karama holds a Bachelor of Business Administration (Accounting and Finance) from Zanzibar University. In 2006, she graduated MSc in Finance from University of Strathclyde in UK. Ms. Karama is a Professional Accountant registered with (NBAA), as an ACPA. Ms. Karama has a profound experience in financial management with a nine years cumulative experience from banking sector where she was holding various positions. She joined the Institute in 2010 as a Senior Accountant on Treasury Management. Her vast experience in banking sector has contributed to tremendous improvement in the unit. In addition, her five years in treasury management has added a great value in transforming the payments system from manual to more systematic based, through the use of digital banking. IHI benefited a lot, with her as part of the team, in the area of Foreign Currency Market. Currently, Ms. Karama is responsible on Cash Flow Projections, Preparations of Financial Reports, and Supporting on External Audit. Her commitment and dedication extended in offering crucial support on financial and non-financial issues towards ensuring proper procurement and payments approval.